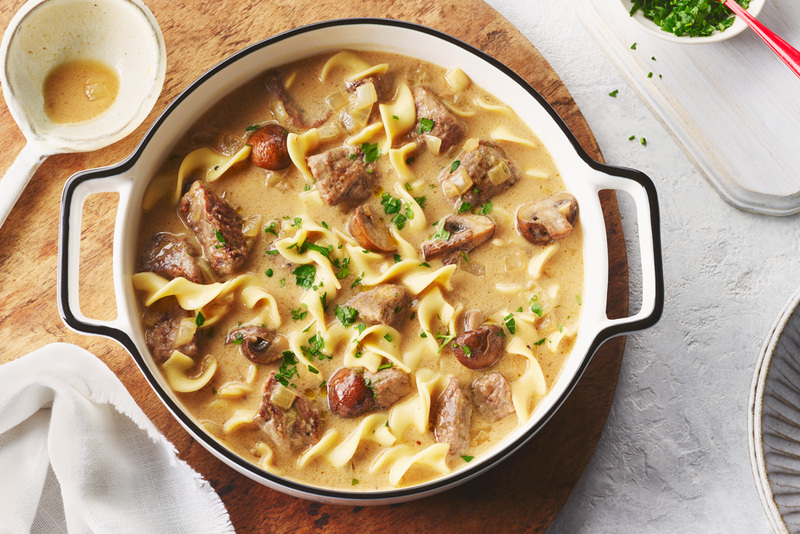 A soupy twist on this classic dish makes the perfect weeknight recipe. Toss steak with salt, pepper, paprika and flour to coat evenly. In a large Dutch oven, melt butter over medium-high heat. Cook steak until browned. Set aside. Add mushrooms, onion, and garlic to Dutch oven. Cook and stir over medium heat until onions have softened, about 3 minutes. Stir in broth, scraping any brown bits from the pan; bring to boil. Add noodles; boil gently, covered, 5 to 7 minutes or until noodles are tender. Whisk in sour cream until smooth. Cook and stir until slightly thickened and bubbly. Add meat back to soup and cook just until meat is heated though. Sprinkle with parsley before serving. Substitute parsley with chives if desired. 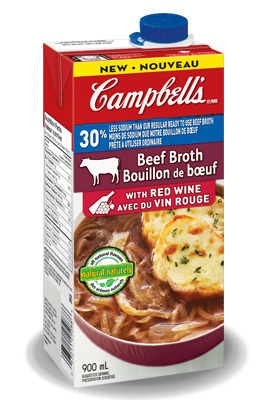 I love Beef Stroganoff in general but to make a soup? Thought I would give it a try & was very surprised & happy on how easy & super tasty it is! Heats up very well for the next day's lunch. Mmm mmm!